Mariah is a writer and patient advocate who lives in Colorado with her husband and two young sons. Diagnosed with rheumatoid arthritis in the middle of law school, Mariah now uses her law degree to help people with chronic health issues. Since her diagnosis, Mariah has shared her story on her award winning blog From This Point. Forward. In addition to writing for RheumatoidArthritis.net, she also serves as the Arthritis Expert at Answers.com, contributes to advocacy efforts through the Arthritis Foundation and Seth’s 50 State Network, and serves as a panelist on Creaky Joint’s Joint Decisions program. 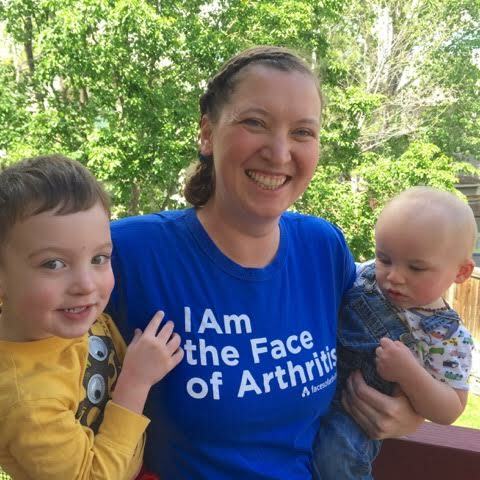 Her family has raised over $25,000 for arthritis research since 2010. Mariah also runs a Facebook group called Mamas Facing Forward to provide support and community for moms (and moms-to-be!) living with chronic illnesses. Click here to see all of Mariah’s posts and entries on COPD.net!